The return of the Star Wars franchise was such a big deal last year that it was nearly guaranteed that Star Wars: The Force Awakens was going to be a huge movie. What we saw was one of the biggest film releases of all time. Now, the cast and crew have an even bigger task ahead of them, to prove that the first one wasn’t some sort of cosmic accident. According to Oscar Isaac, Star Wars: Episode VIII will be something of art imitating life, as the characters will need to prove themselves just as much as the actors will. Considering his comparatively low amount of screen time in Star Wars: The Force Awakens, Poe Dameron became as popular a character as any of the new members of the Star Wars universe. Not bad for a guy who almost didn’t survive the film’s opening sequence. In a profile in Rolling Stone, Oscar Isaac talks about what’s in store for Poe, as well as all the other characters from The Force Awakens. The good news for Poe fans is that we will apparently see a lot more of him in Star Wars: Episode VIII. Although, it doesn’t sound like what he, or the other characters, will be going through is going to be particularly fun. In the new film, there's a lot more to do. What happens now is the heroes get tested. All three of them get tested immensely. … BB-8 gets tested too! Everybody gets tested! It's the dark second chapter, but not really dark. This isn’t the first time that we’ve heard that Star Wars: Episode VIII will be a darker film than Star Wars: The Force Awakens. It’s somewhat traditional within a trilogy for the second part to be a darker story. It tends to put the heroes at a significant disadvantage, so they can successfully overcome it in the final chapter. It was the case with Star Wars: The Empire Strikes Back. However, in an era where "dark and gritty" have become blockbuster buzzwords, Oscar Isaac’s statement that it’s "not really dark" likely means that we’re not setting ourselves up for the Dark Knight version of Star Wars. As far as character testing goes, we know, or are at least fairly certain, that Rey will be spending a large part of Star Wars: Episode VIII with Luke Skywalker, so testing will certainly be a large part of that relationship, as she learns the ways of the Force. 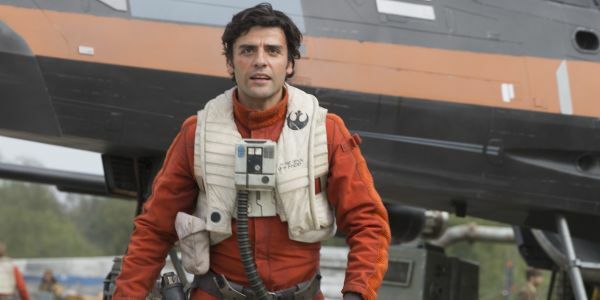 We’ve also heard some rumors about how one new character in the film may be an antagonist for Poe Dameron, so that may be the test Oscar Isaac is talking about. While we don’t know much about Finn in the new movie, based on his arc in the Star Wars: The Force Awakens, simply dealing with not being a Stormtrooper on a daily basis is not a small task for him. As far as BB-8 goes? Yeah, we have no idea either. Are you ready for the slightly darker Star Wars: Episode VIII? Hopefully, you’re not too ready for it, the movie won’t hit theaters until December of 2017.